Every cell in our body contains the same genetic blueprint, but different types of cells have specific functions. For example, what makes a nerve cell different from a muscle cell? I am fascinated by this incredible cell diversity, and by the ways in which different cells can work together. Cell diversity is an important factor in cancer, with many implications for treatment. For example, therapies targeting the interactions between cancer cells and immune cells have been incredibly successful in the treatment of melanoma. I work in a field of science called epigenetics that seeks to understand how the same genetic information can be interpreted in different ways to produce cells with very different capabilities. In cancer, epigenetic processes are distorted to favour rapid growth, and drugs targeting these processes are used to treat several cancer types. My research is investigating the epigenetic diversity of cancer cells, in order to identify new therapeutic and diagnostic strategies. My father was a research scientist working with BHP in Newcastle, so I was exposed to science from a very early age. I have always loved the idea of exploring unknown territory, and trying to figure out how things work. I remember doing an ‘experiment’ with Dad to figure out why apples float while pears sink. To me, it is an enormous privilege to work in research. Scientists have access to amazing technologies and freedom to pursue ideas. I think this privilege comes with a responsibility to work for the good of society, so my ambition is to make a significant contribution to the improvement of medicine. We now have access to many therapies that can successfully treat cancer. However, cancers that develop resistance to these drugs are very difficult to treat. My research aims to improve outcomes for patients by preventing cancer relapse. Dr Lee completed her PhD at the Garvan Institute of Medical Research where she investigated hormonal control of mammary gland development and breast cancer. 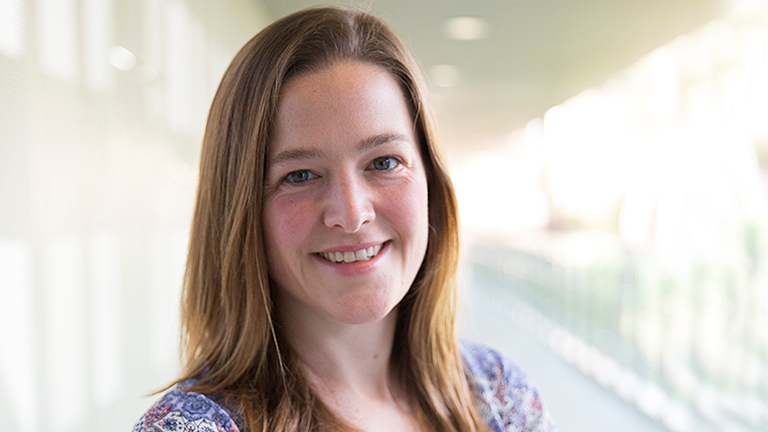 Her research focused on the transcription factor, Elf5, which plays key roles in breast development during pregnancy and acquisition of anti-oestrogen resistance in breast cancer. After discovering lineage-specific DNA methylation (signaling) of the Elf5 promoter in the mammary epithelium, Dr Lee decided to undertake post-doctoral research in the field of epigenetics. In 2012, she relocated to Cambridge, joining the laboratory of Professor Wolf Reik. Using stem cells as an experimental model, Dr Lee revealed unprecedented dynamic heterogeneity in DNA methylation. She also developed groundbreaking single-cell sequencing technologies for the parallel analysis of genome-wide DNA methylation and gene expression in the same single cell, an achievement that established Dr Lee as a pioneer and world-leader in the field of single-cell epigenomics. Experimental techniques have traditionally combined multiple cells to be analysed in a single sample, which means that differences between cells and rare cell types potentially go unnoticed. The advent of single cell sequencing has been a game-changer by allowing individual cells to be studied in unprecedented detail. Since joining the University of Newcastle in February 2017, Dr Lee is establishing a research group at HMRI and has brought this powerful new research tool to Australia for the first time. I have been planning a ‘bioinformatics bootcamp’ event to be held in March 2018. Single-cell analysis of circulating tumour cells from newly diagnosed and metastatic breast cancer patients. Breast cancer can spread to other organs in the body including the lungs, liver and bones. Unfortunately, this type of ‘metastatic’ breast cancer is difficult to treat, and the majority of patients die within 5 years of diagnosis. We urgently need new ways to prevent, detect and treat metastatic breast cancer, in order to save the lives of breast cancer patients.